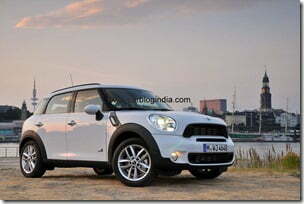 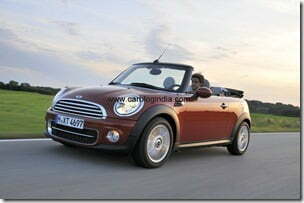 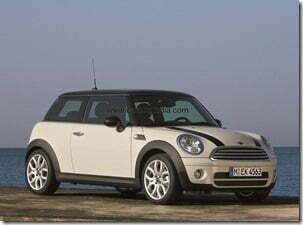 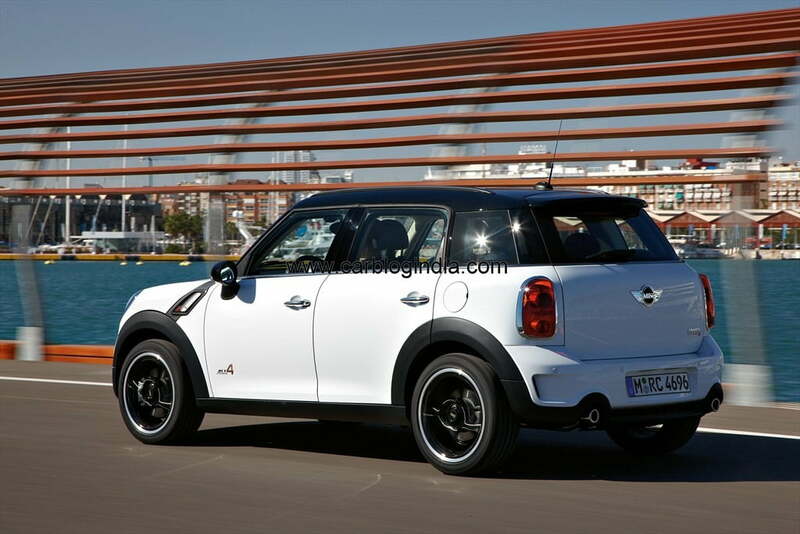 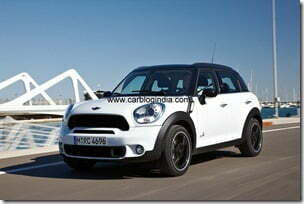 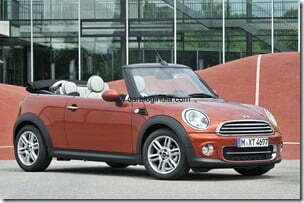 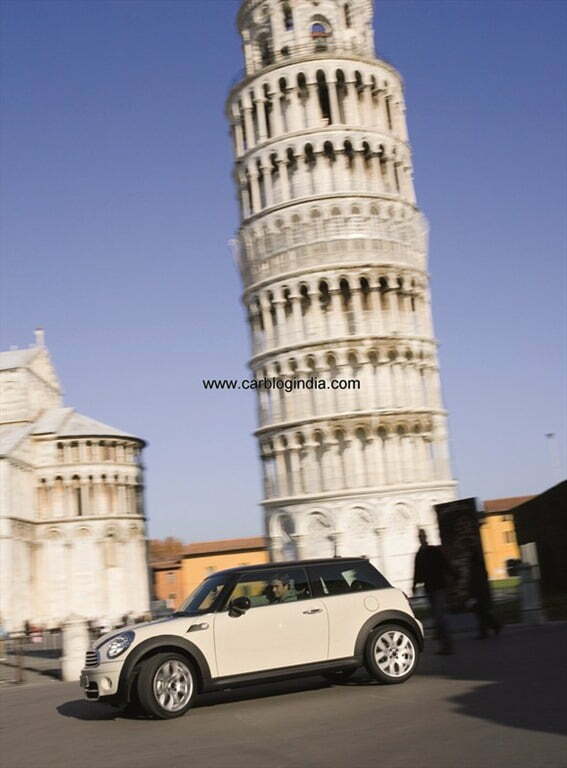 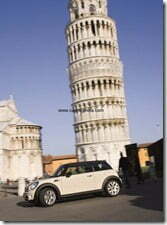 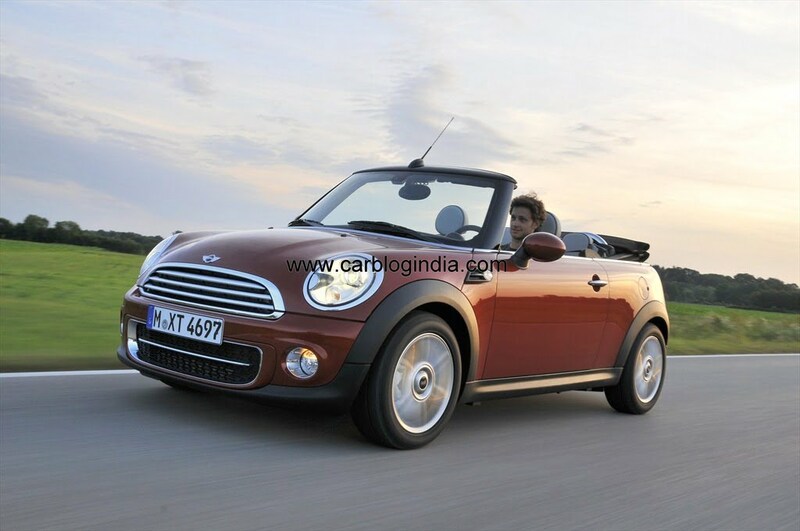 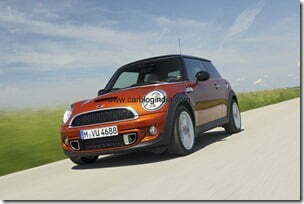 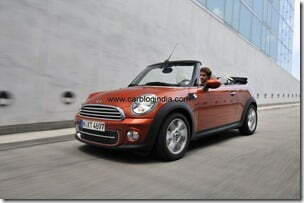 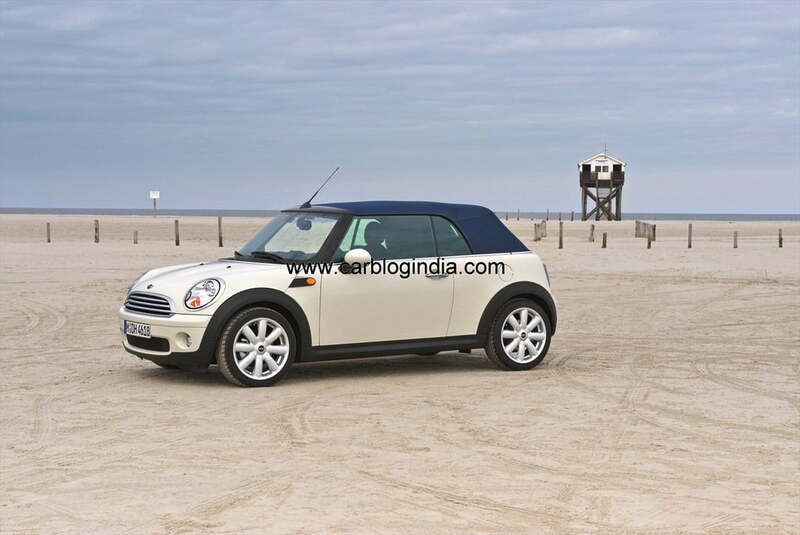 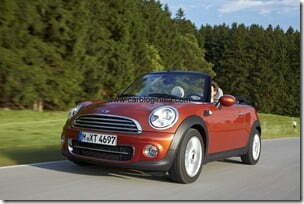 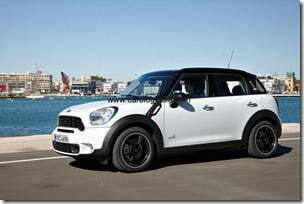 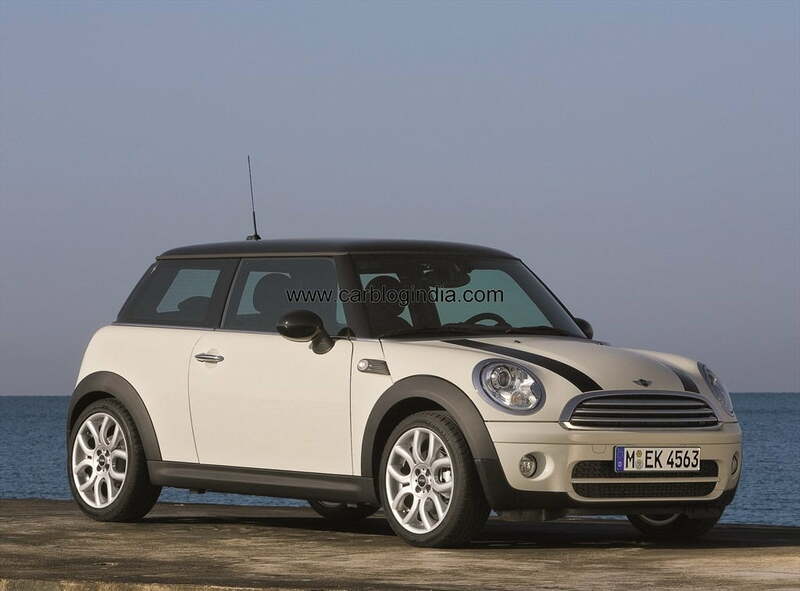 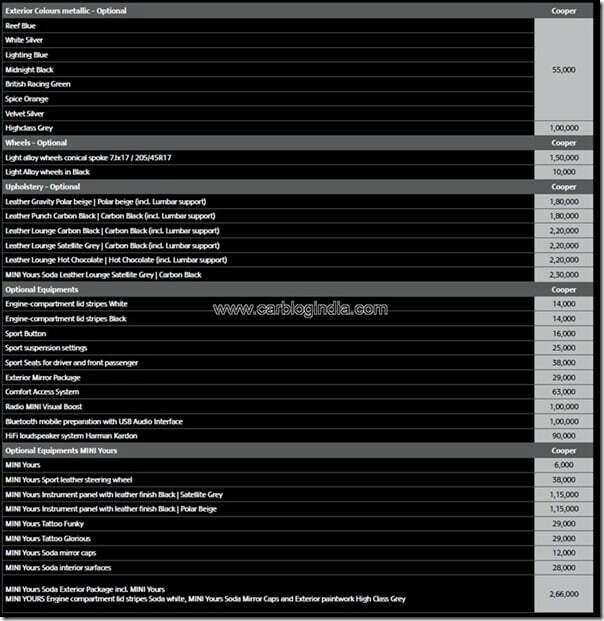 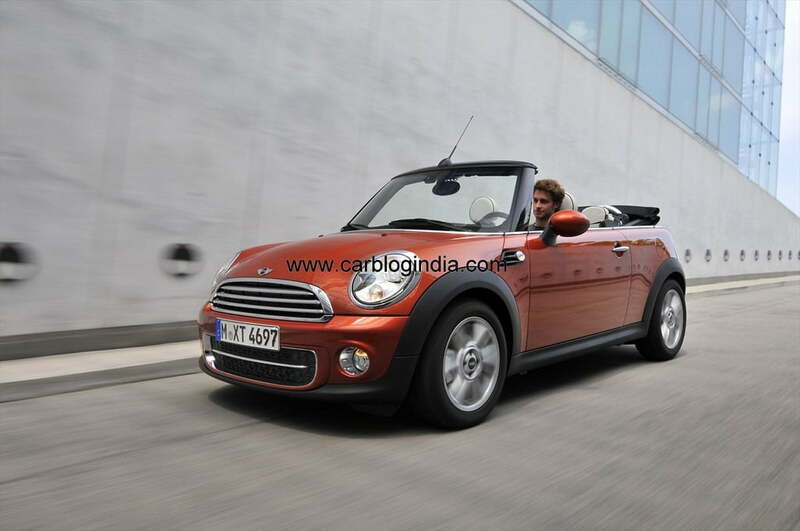 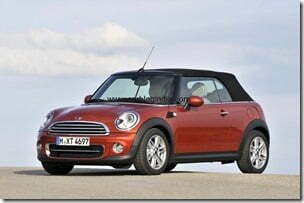 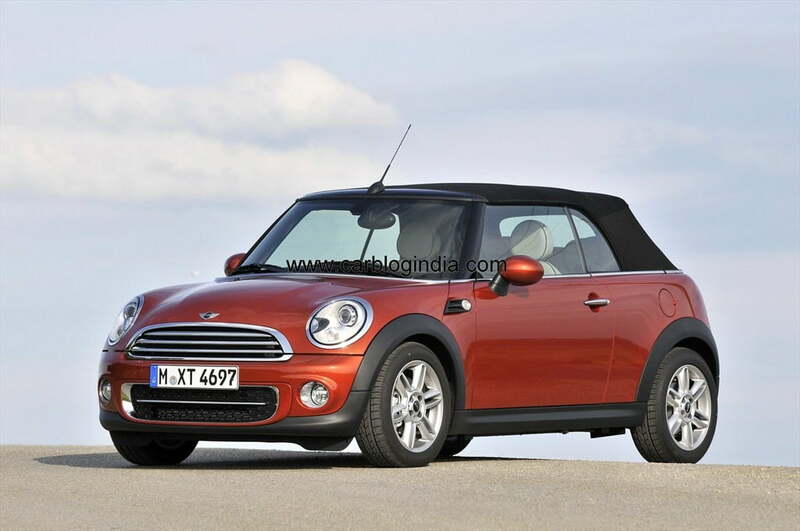 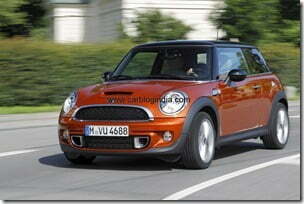 Mini has officially launched its lineup of cars in India at the Auto Expo 2012 in New Delhi. 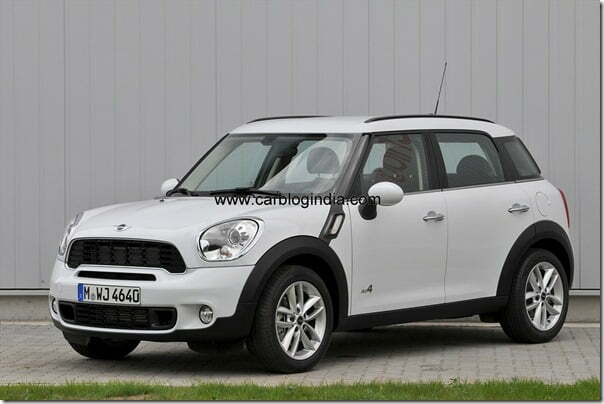 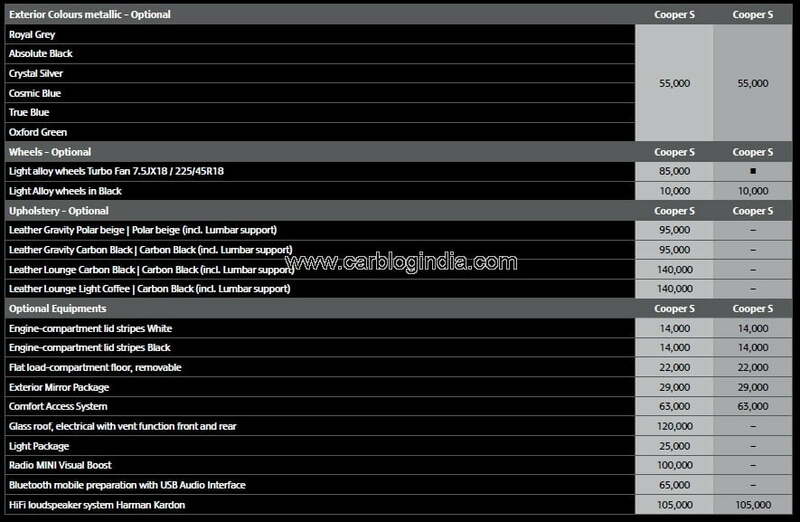 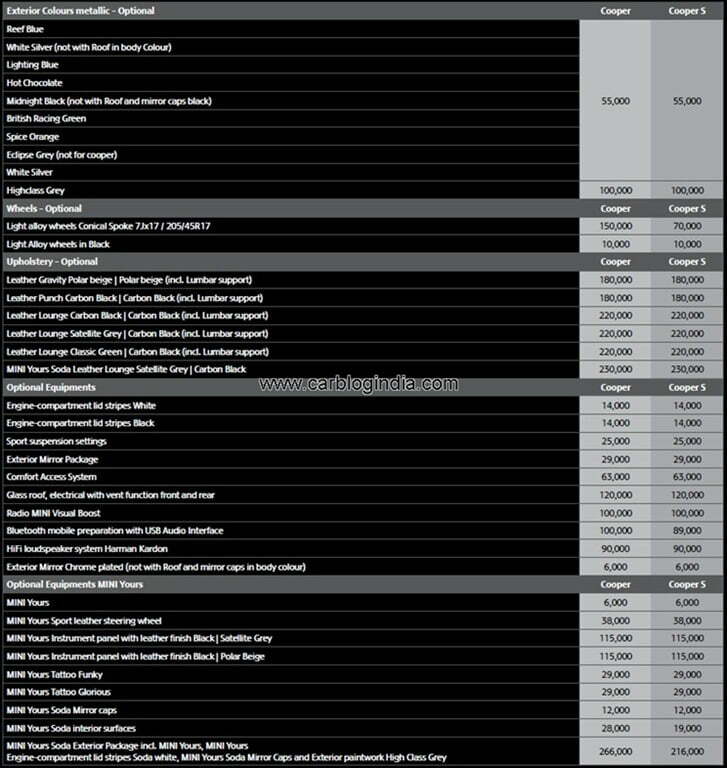 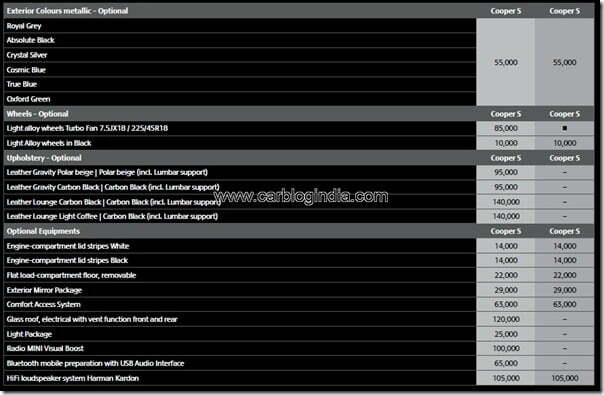 The Mini Cooper, Mini Cooper S, Mini Cooper convertible and Mini Countryman Compact SUV will be imported to India as Completely built units or CBU and will be sold in India through the exclusive Mini dealerships. 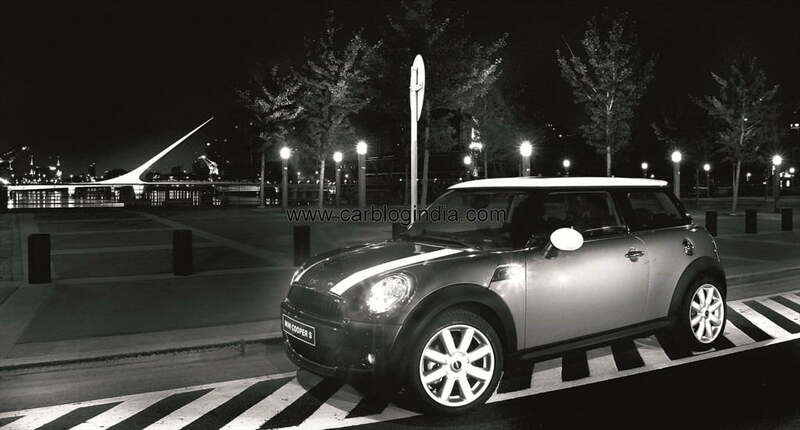 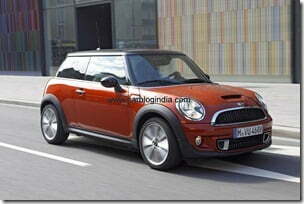 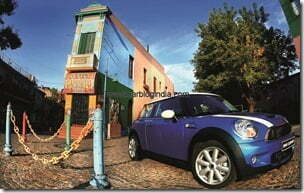 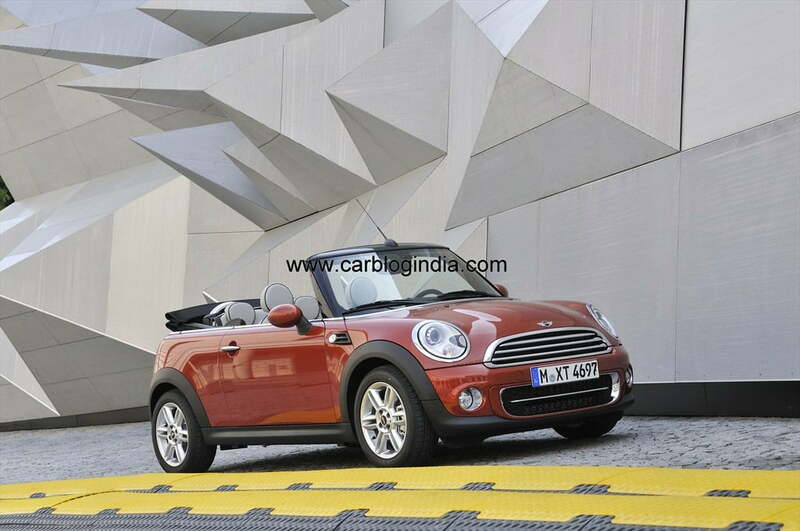 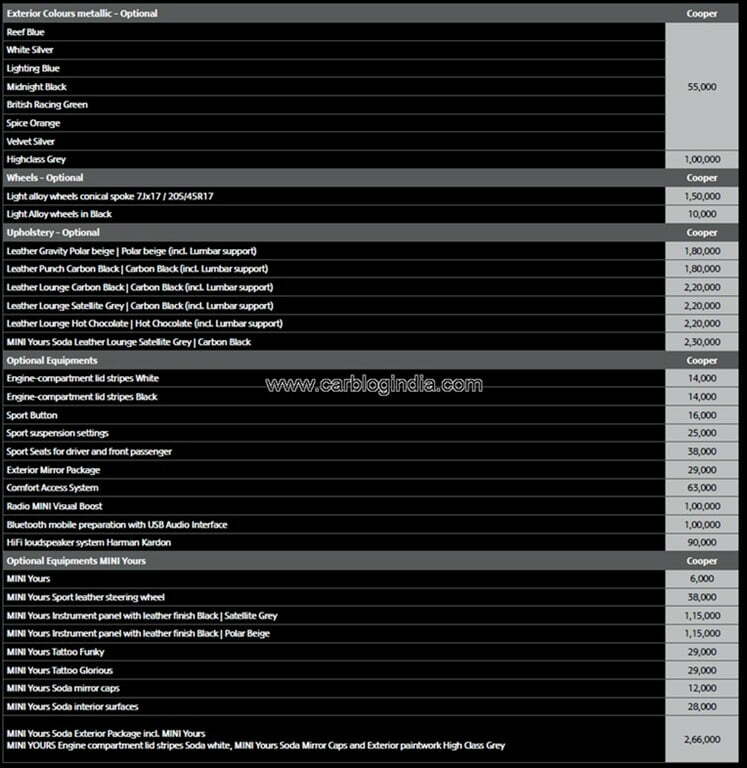 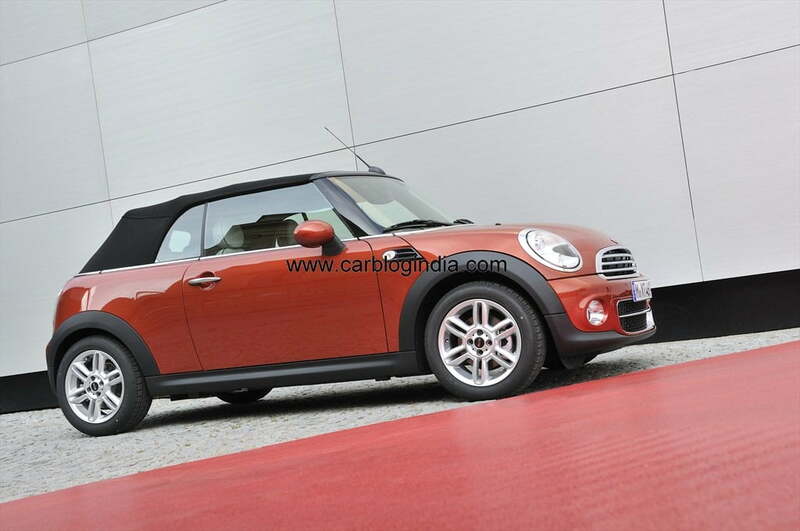 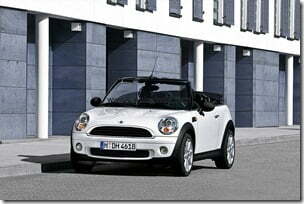 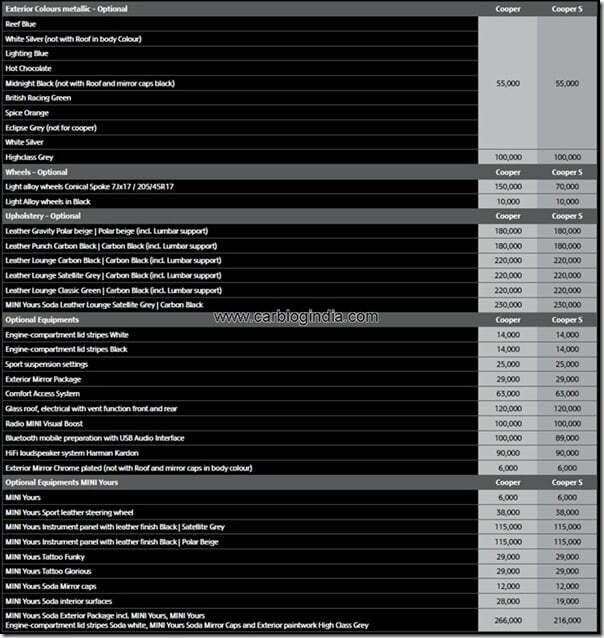 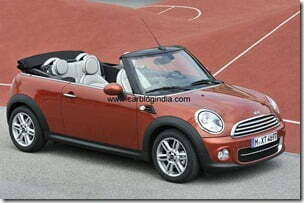 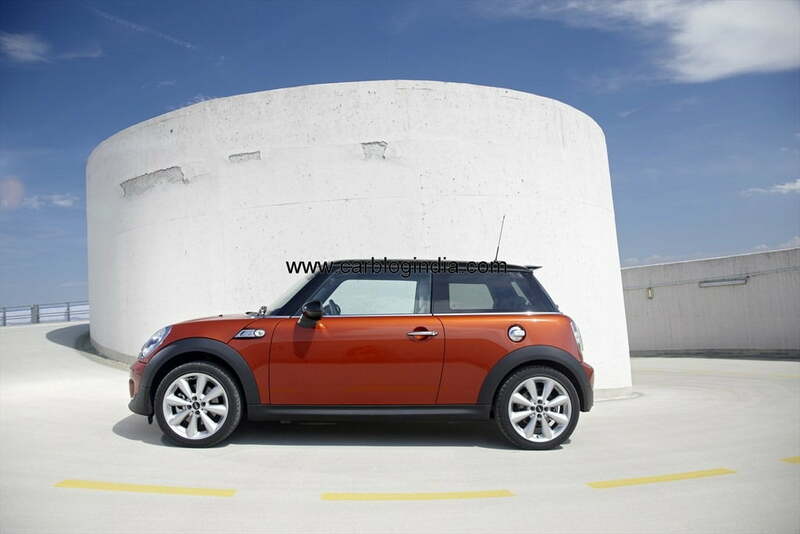 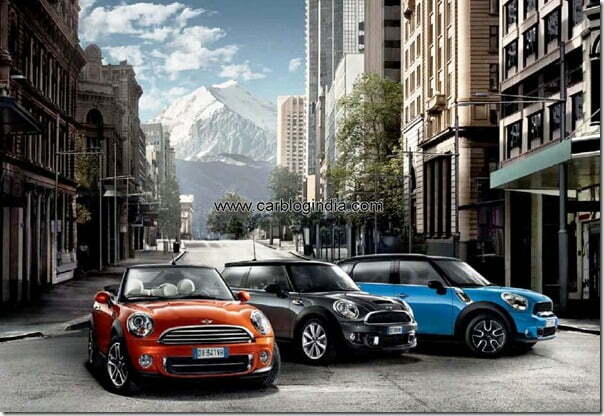 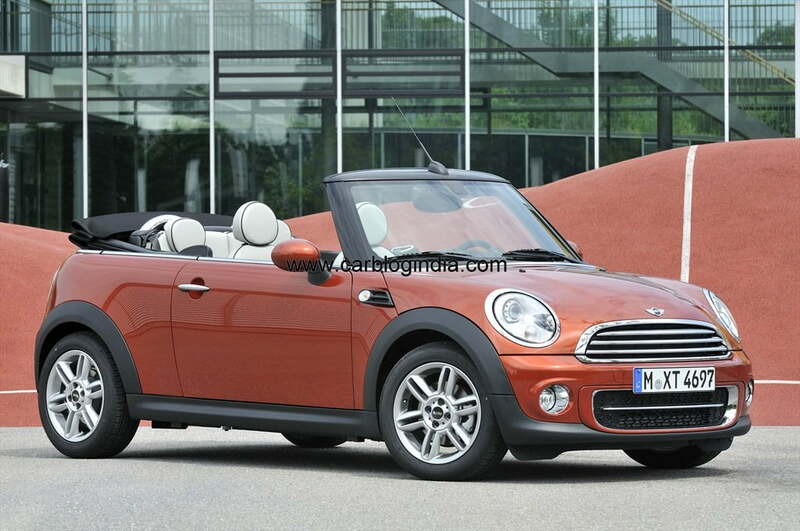 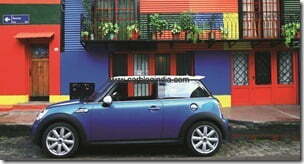 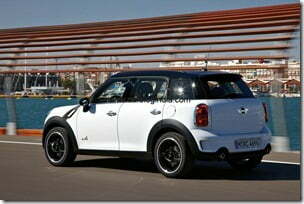 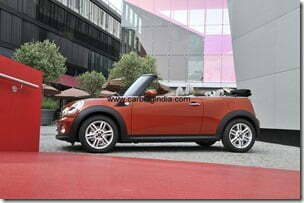 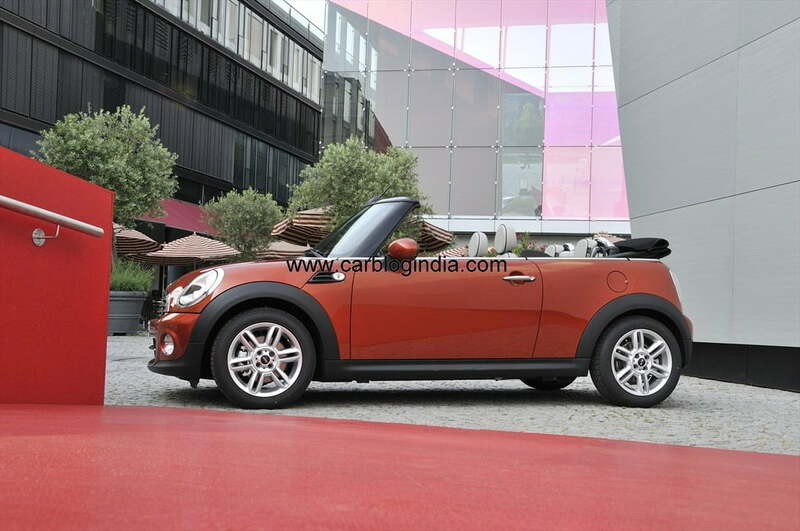 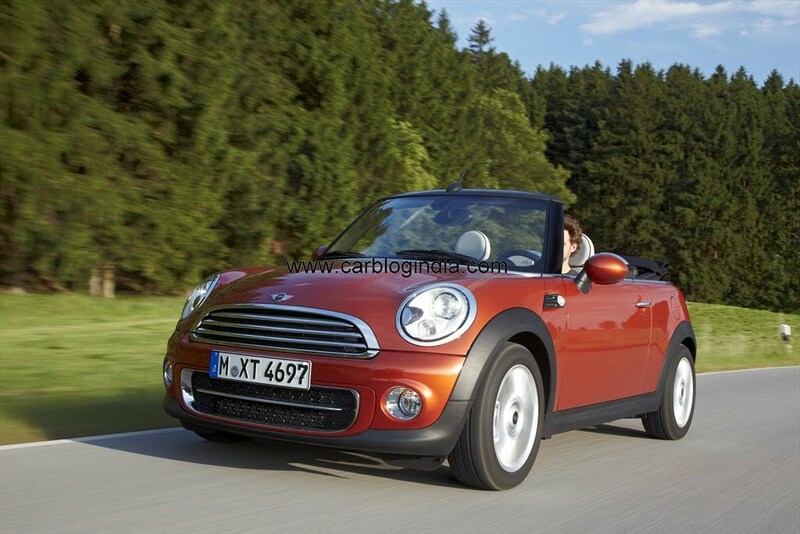 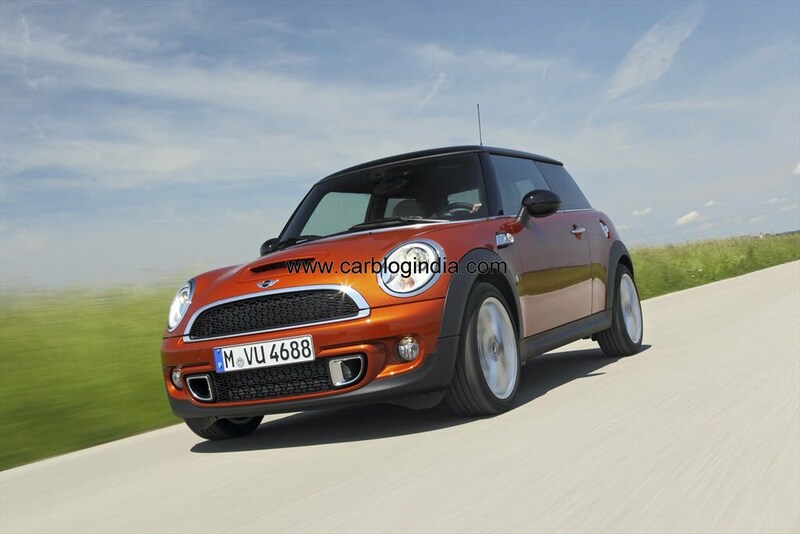 To start with, Mini will get three dealerships, two in Delhi and one in Mumbai in India. 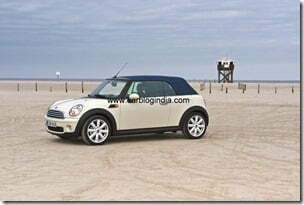 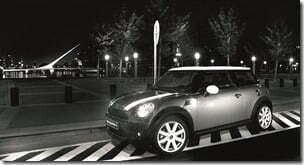 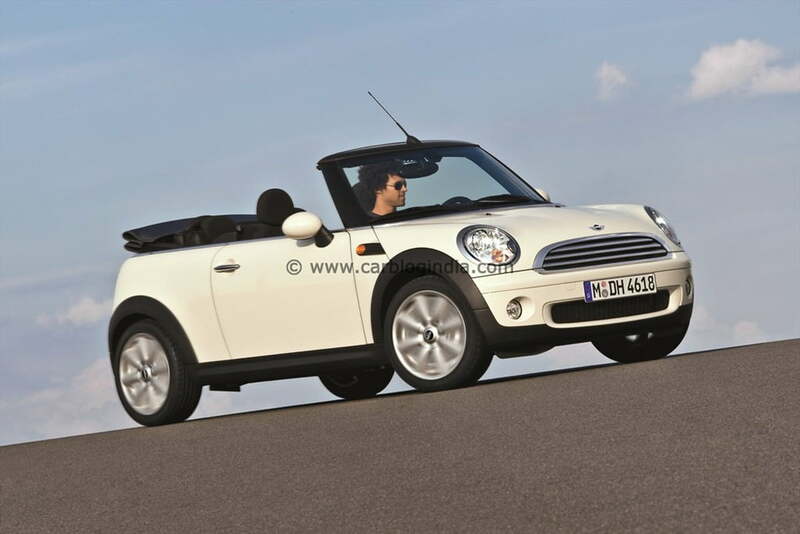 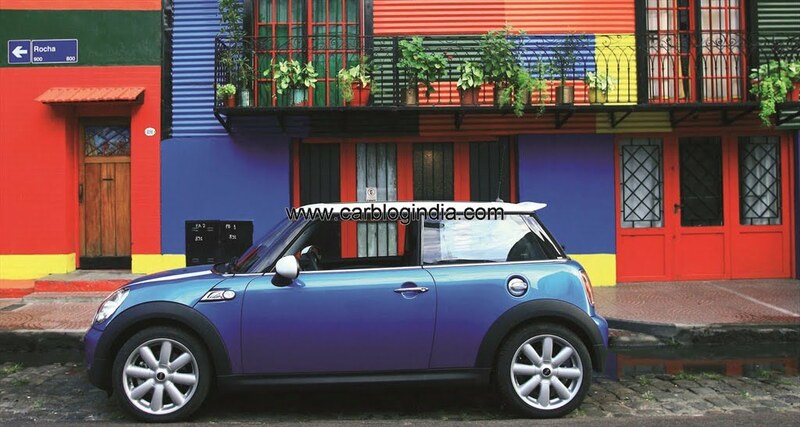 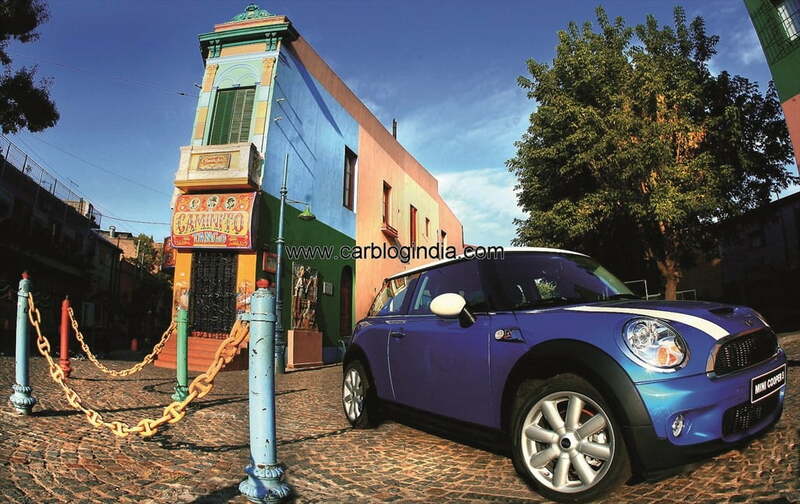 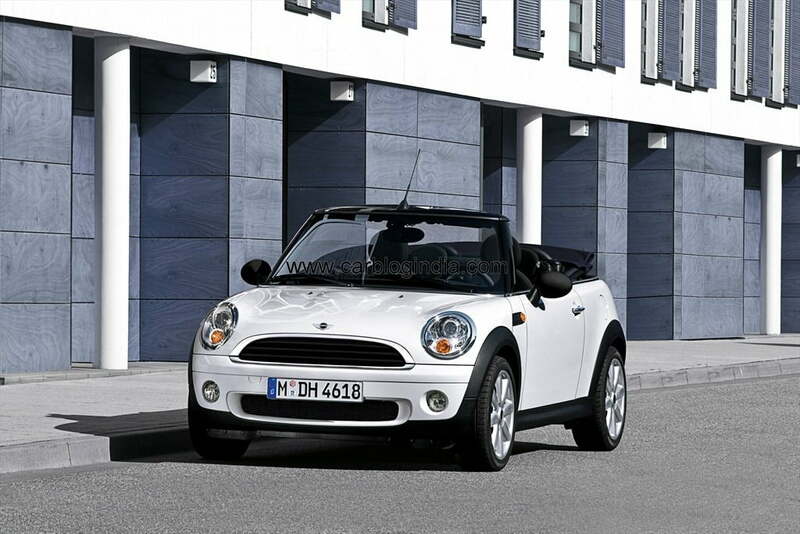 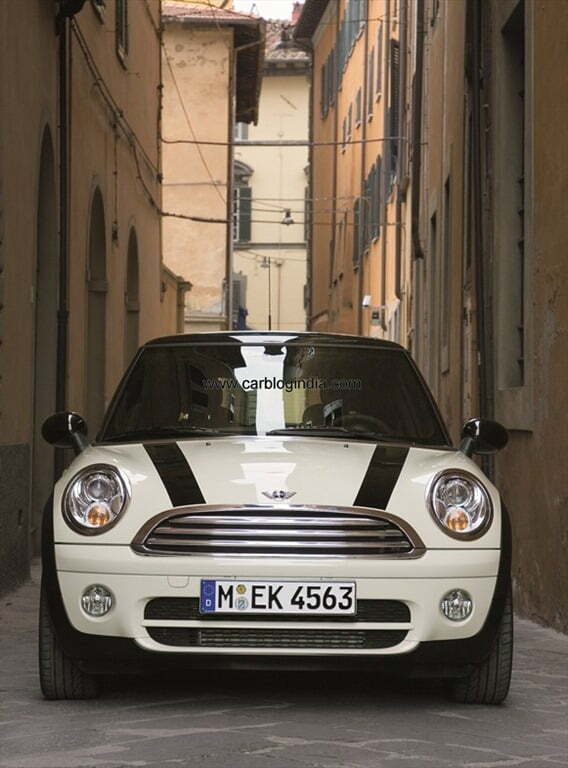 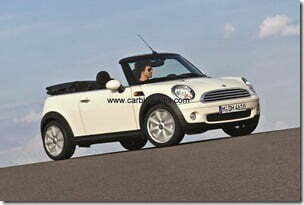 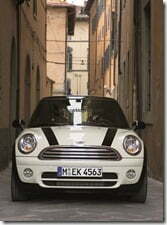 In 2012, MINI India will establish three exclusive outlets in the Indian market: Deutsche Motoren and Bird Automotive in Delhi (National Capital Region) and Infinity Cars in Mumbai. 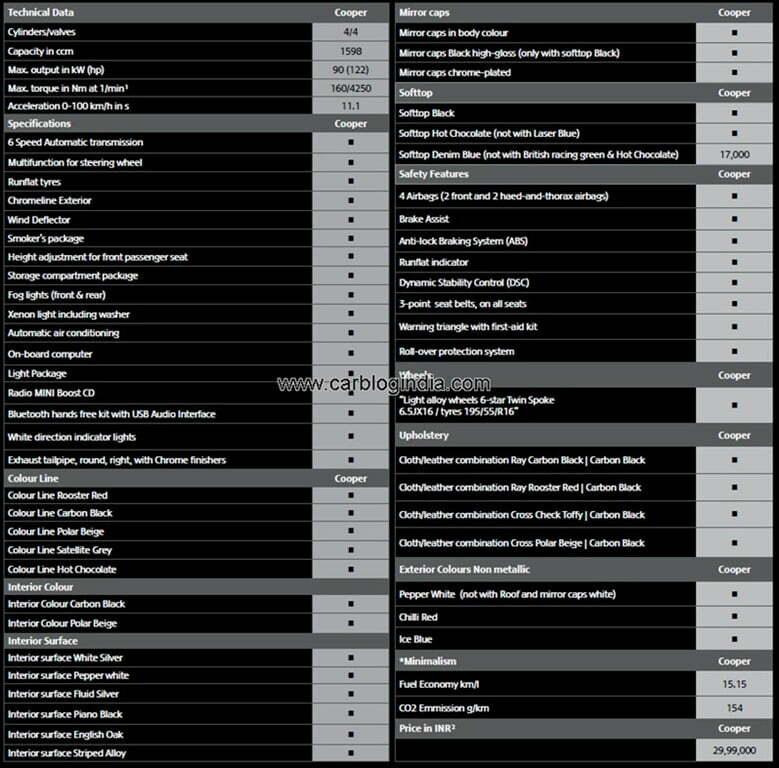 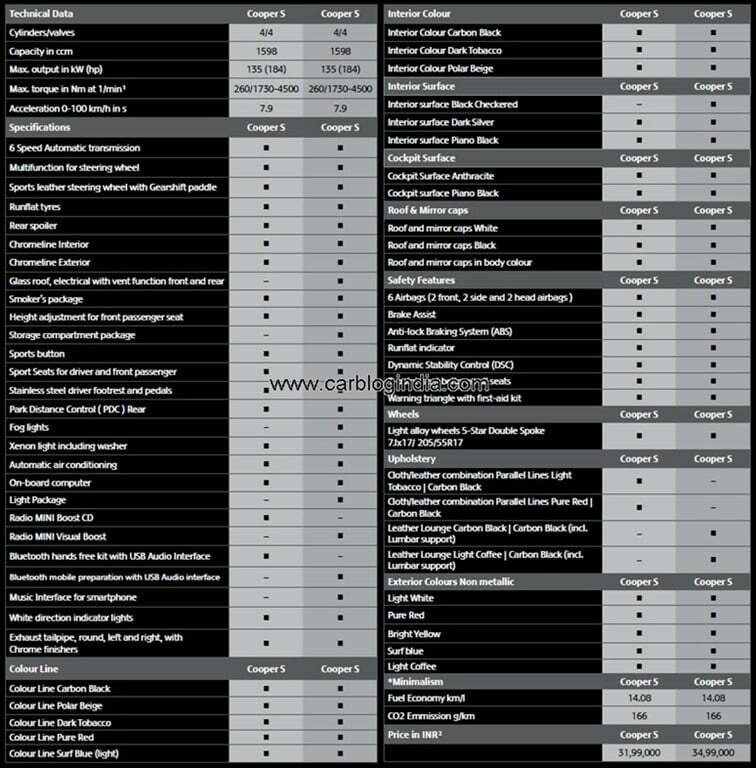 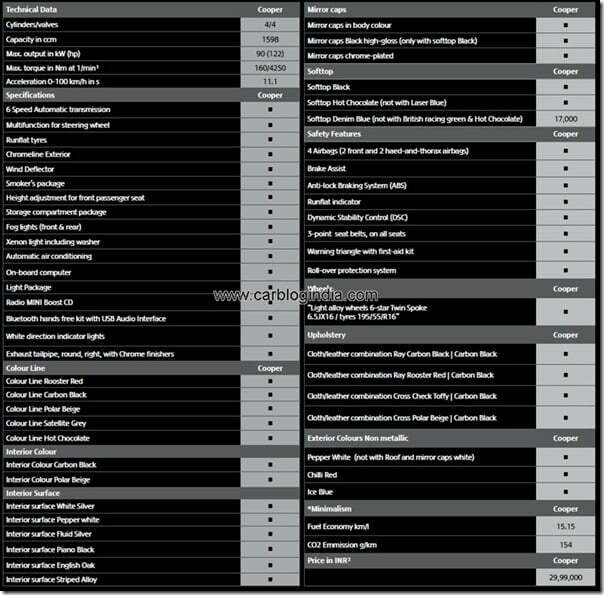 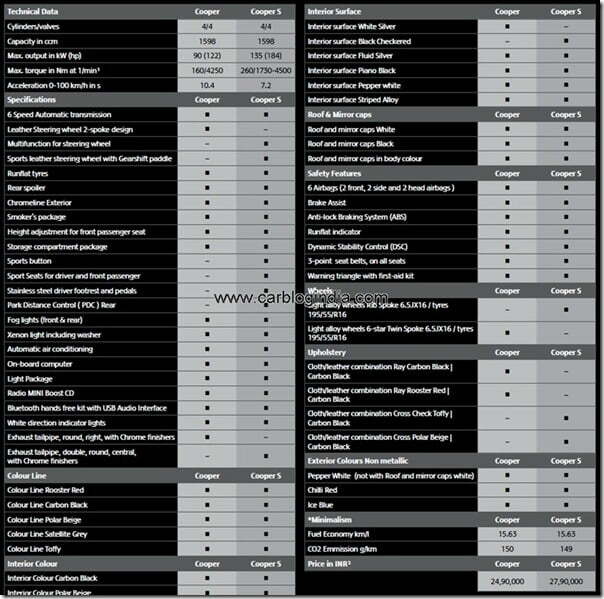 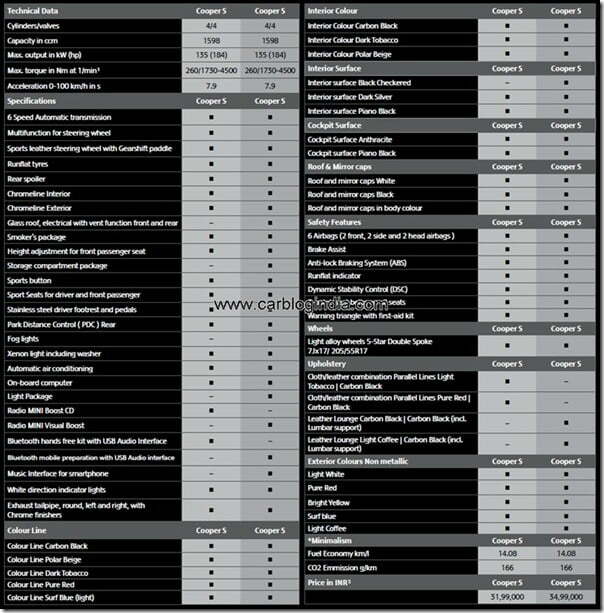 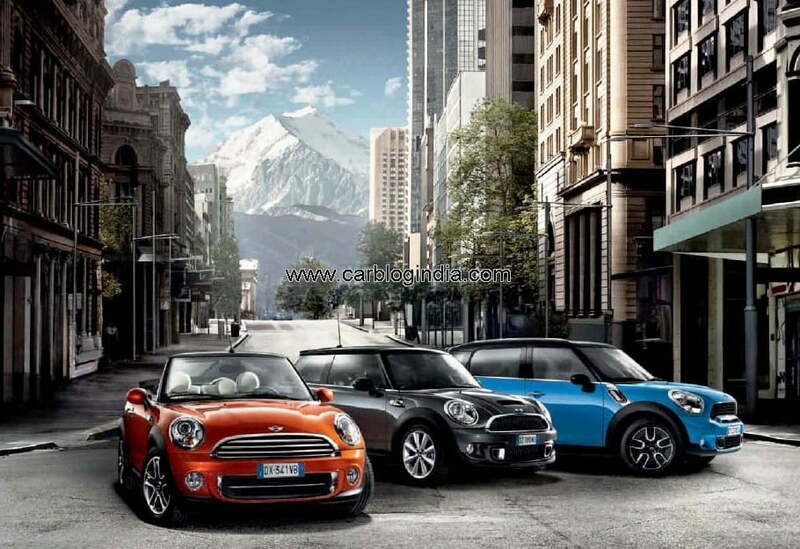 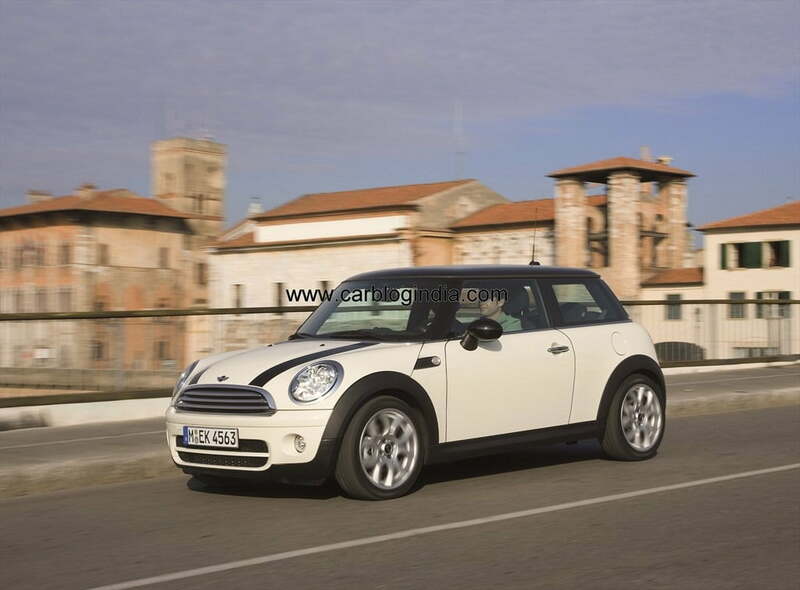 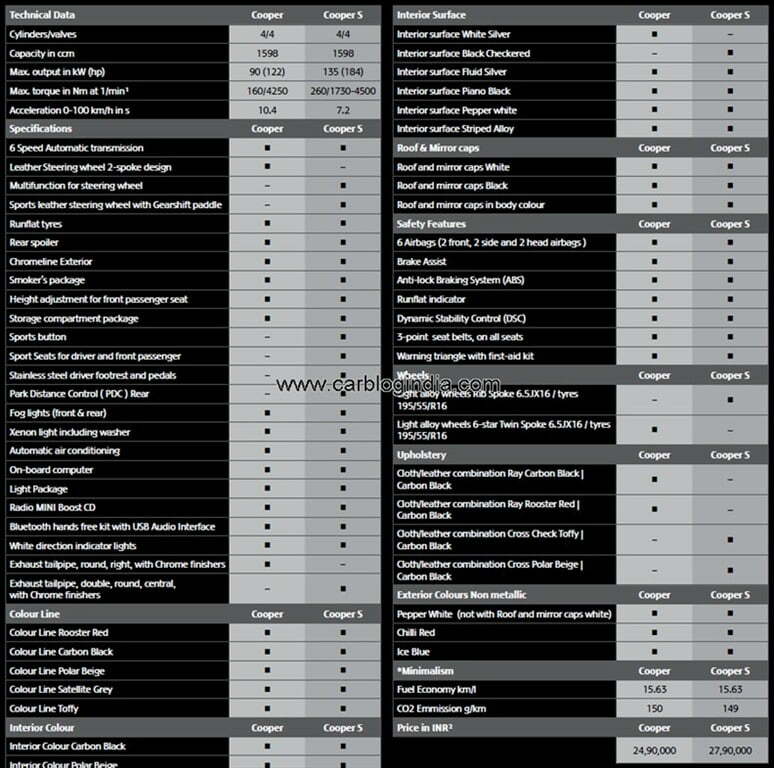 The MINI (MINI Cooper and MINI Cooper S), MINI Cooper Convertible and MINI Cooper S Countryman will be available in six-speed automatic transmission with powerful and efficient petrol engines.